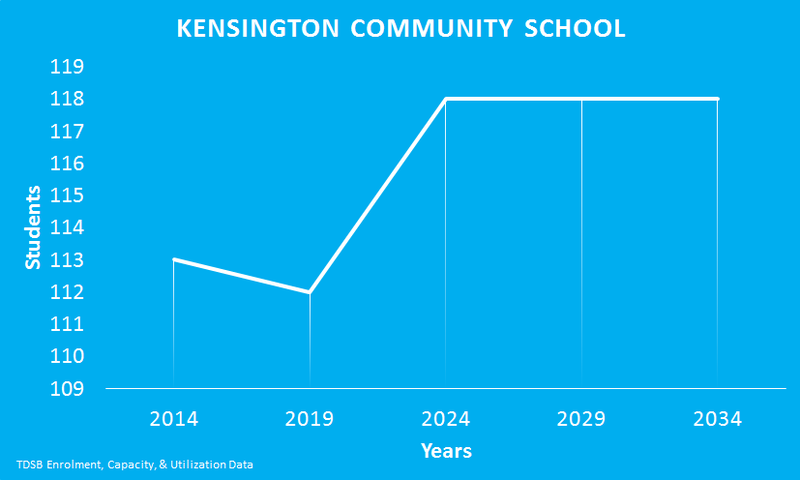 The TDSB projects that Kensington Community School’s enolment will decline and then start to grow again in five years. Kensington Community School has two classes supporting students diagnosed with Autism Spectrum Disorder. The schools also hosts a International Languages Program.